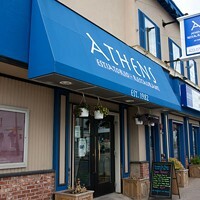 Four consecutive golds are a drop in bucket for Athens Restaurant, which has been serving up food fit for the Greek gods for over 35 years. The Quinpool institution continues to stand out thanks to the pride the Panopalis family takes in what they’re dishing out—it’s all about fresh ingredients and passed-down recipes. Moussaka, souvlaki, spanakopita and horiatiki salad are just a hint at the Greek goodies on the restaurant’s menu, but for less worldly diners there’s your standard family restaurant fare (burgers, wraps, pasta) as well. 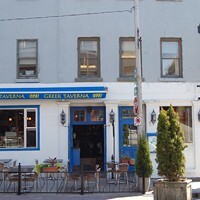 While Quinpool will never have turquoise waters of the Mediterranean and the architecture of the Acropolis, we’ll still raise a shot of ouzo to this veteran restaurant.